If you have chronic back pain, you know how disruptive it can be. You may be unable to think of little else except finding relief. 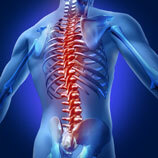 Spinal decompression therapy may be for you, call today and setup a appointment. Spinal Disc Decompression Therapy is a safe, alternative treatment designed to help relieve your nagging back, neck, or referral pain such as sciatica. Clinical studies of non-surgical spinal decompression therapy are reporting that a high percentage of patients show significant reduction of pain. 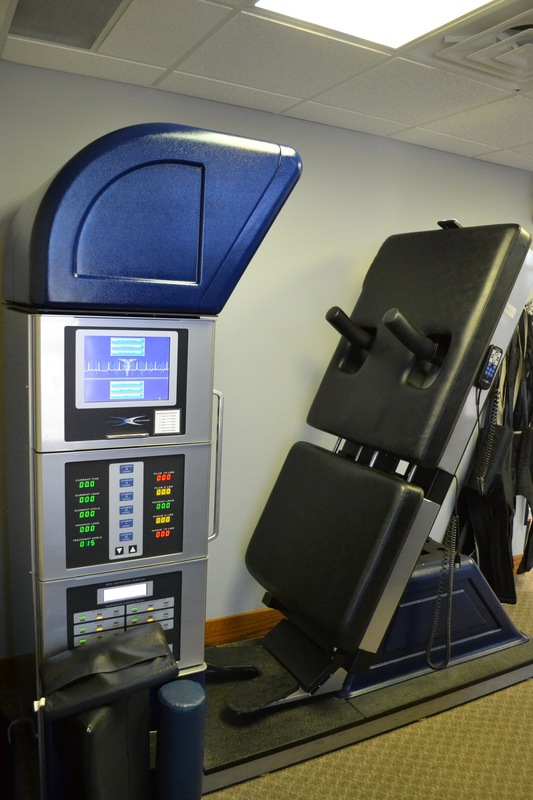 Thousands of people across the country are enjoying the benefits of Spinal Decompression Therapy. We are eager to help you learn more about this natural, non-invasive treatment, and determine if you are a candidate for this therapy. As your trusted pain relief specialists, our team at Aspire Rehab is here to get you back to health. Spinal Decompression Therapy is a safe and effective treatment for pain without the risks associated with surgery, anesthesia, infection, injections, or prescription medication. As you can imagine, decompression therapy is rapidly gaining popularity due to its exceptional results treating chronic back and neck pain without surgery. 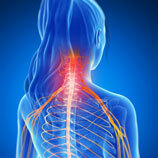 Simply described, this method of treatment uses a therapeutic table that is connected to a computer, to electronically stretch and decompress your spinal structures using traction. You rest on the table while a padded harness focuses the gentle force along your spinal column. This decompresses your spine — specifically the intervertebral discs — while at the same time stretching the muscles along your spine. This method effectively relieves tension and tightness from your back muscles and connective tissues, which releases pressure off of the spine and spinal nerves, therefore, improving nerve function and relieving pain. Prior to beginning treatments, we evaluate you to determine if you are a candidate. Your medical history, x-rays, CT/MRI scans are carefully reviewed. If you are a candidate for decompression therapy, we will create a personalized treatment plan unique to your individual health needs and goals. A typical plan may include as few as 10 treatments or up to 30 treatments. To achieve optimal results, it is important to complete your treatment plan — and thus the full healing process — even if you start to feel improvement early on. It is not uncommon to experience a significant reduction in pain early in your treatments. What Can I Expect During a Decompression Therapy Session? At the beginning of each session, you are fitted with a comfortable harness designed to offer optimal decompression, unloading due to distraction, and proper positioning. You are fully clothed, and a specially trained technician will make sure that you are properly positioned for comfort, safety, and effectiveness. The computer is programmed in accordance with your specific treatment plan. Once treatment preparation is complete, your decompression session commences. During the treatment cycles, you may feel some relief of the pressure in the area where your pain exists. During this time, your body is responding by flooding the area with valuable oxygen, blood, and nutrients, which help promote your body’s natural healing process. Your treatments sessions are typically both comfortable and relaxing. At the end of your session, there is no downtime or recovery time. Most patients enjoy their treatments and report experiencing many benefits after a treatment. Reduces muscle spasms, inflammation, tension, and tightness. Encourages better circulation and blood flow. Enhances movement, mobility, and range of motion. Reduces associated symptoms of pain such as numbness, tingling, and muscle weakness. Reduces pain symptoms as the result of injuries, health conditions, illnesses, aging, stress, and anxiety. It is safe, effective, and painless. 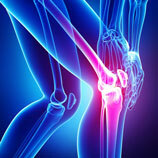 Fewer side effects than other pain relief options such as surgery and prescription medication. No downtime or recovery time. Cost-effective when compared to costly surgeries. If you are ready to experience safe and effective relief from chronic pain and discomfort, spinal decompression is an optimal alternative to other pain relief methods that involve surgery and the use of prescription medication. Call Aspire Rehab in Topeka, Kansas, to schedule your free consultation today and find out if Spinal Decompression Therapy can benefit you! How Does Spinal Decompression Therapy Work? Spinal Decompression Therapy is a revolutionary non-surgical treatment for low back pain due to disc related pathologies (herniated, bulging discs) as well as Facet Syndrome, failed back surgery and Degenerative disc disease (DDD). It is safe, comfortable, and effective. Spinal Decompression Therapy works by restoring proper function to an injured disc. During the "pull" ,injured discs are gently stretched apart, producing a suction force inside the disc. This draws disc buldges and herniations back into the center of the disc along with oxygen, water, nutrients, and other healing substances. The end result is a strong, healthy, properly functioning disc. 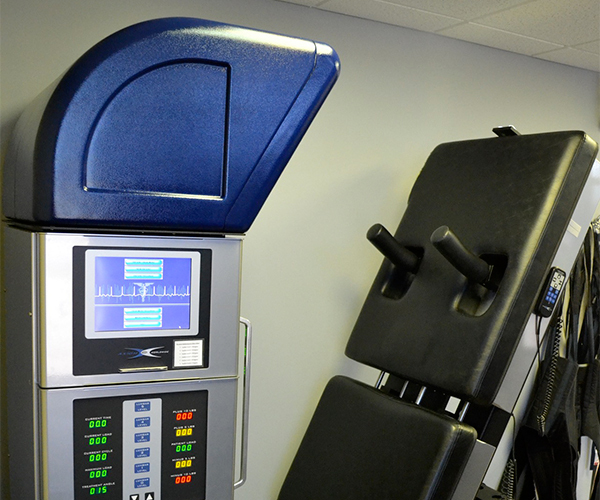 Spinal Decompression Therapy is a lot like disc rehabilitation. Not only does decompression minimize disc bulges and herniations, but it also restores the proper nutrient supply to the disc. This allows the disc to regain its proper motion, and essentially proper nutrient supply. If the decompression is successful, the disc remains healthy even after the treatment is finished. From the first day I felt the treatment making a difference. I no longer need the surgery another Doctor had recommended.